Michigan racer Steve DeLeeuw has passed away from injuries sustained in a Mud Racing incident in Indiana over the weekend. After a long Mud Racing career, Steve had primarily switched to Sand and Dirt Drag Racing where he competed mostly at West Michigan Sand Dragway in his 'Bodacious' Blown Alcohol Altered. He was a winner in the Top Eliminator class at WMSD and most recently set Low ET at the PTN WMSD event in the Pro Outlaw FE class in July 2011. Steve was also a partner in the West Michigan Dirt Drags that put on events at the Ottawa County Fair in his hometown of Holland, MI. We will always remember him as a great person that was always positive and upbeat, who loved racing with his son, Luke. Our thoughts & prayers go out to the DeLeeuw Family and all of his many racing friends at this time. Atoka Motorsports Park in Atoka, OK held their fifth of nine points races for the 2012 race season on Saturday night. A storm blew through the Atoka area right around the mid part of the race on Saturday, but Cecil was able to work his magic & get the track back in race condition to finish up the show. Amie Wilson would score her first ever double up Pro 1 Cars win as she took both the Money & Trophy classes on the night while the points race became knotted up in a tie as Tim Feuerhelm and Ethan Fomby sit tied atop the class standings with just four races to go. In the Pro 1 Quads class, Nick Allen used an impressive win to move to within just five points of season long point leader Rick Lovelace. The track championships will be quite a battle as they go down to the final night of racing on October 13 during Fall Fest, which will also be the Season Finale for the Mid-America Sand Drag Racing Series. NSDN will be on-site to cover all the action on that much anticipated weekend of racing. Read on for full race results. 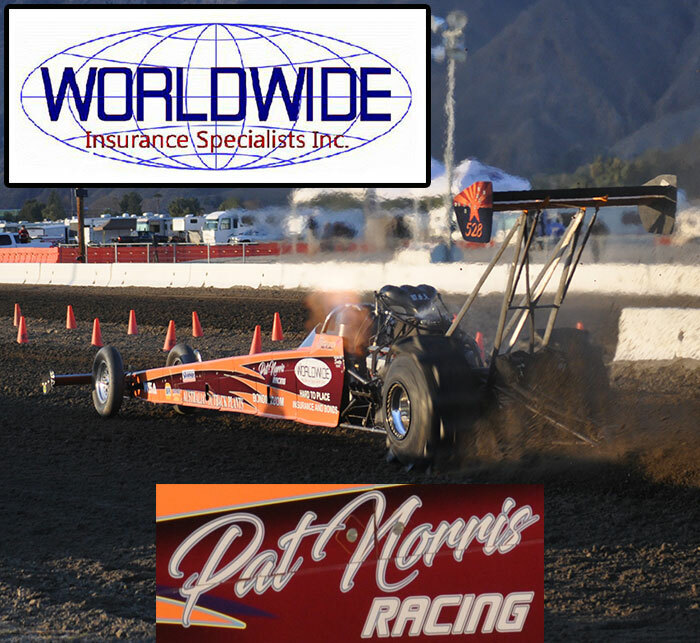 Dome Valley Raceway in Wellton, AZ will be hosting a Test and Tune on Saturday night, July 28th. Test and Tune will kick off at 6PM and run until racers quit coming to the lanes. To race, the Test and Tune fee will be $40 with spectators getting in the gate for just $5. For any questions regarding this Test and Tune, call Ernesto at 928-503-9675. The first year for the Mid-America Sand Drag Series continued to see some amazing racing at Thunder Valley Sand Drags' BAD Nationals in Mid-June. A great turnout of racers from Oklahoma, Kansas, Texas, and Missouri showed up to wage war on the fast track near Kansas City. This will also be the venue for the next race in the series as the Show-Me Fall Nationals will take place on September 21-22. For more information on this event, go to www.ThunderValleySandDrags.com. Click on the link below for the full listing of the current series standings. The Inaugural Nitro Nationals at the Dirt 300 in Albuquerque, NM certainly did not disappoint on the race track as there was fierce racing action from start to finish with many of the Southwest’s best racers making the trek to New Mexico. Despite battling the over 9000’ corrected altitude, racers were still able to lay down some nice ET’s and put on a show for the New Mexico fans. Read on for the story on this event. Thunder Valley Sand Drags in Grain Valley, MO played host to the BAD Nationals, which also served as Race 2 of the 2012 Mid-America Sand Drag Series. The TVSD track has always been known as a track with a ton of hook, and it was once again “on kill” on this particular June weekend. With the weather cooperating, and rain clouds breaking up as they neared the track, this would be a great weekend of racing. Here are the highlights of the weekend.